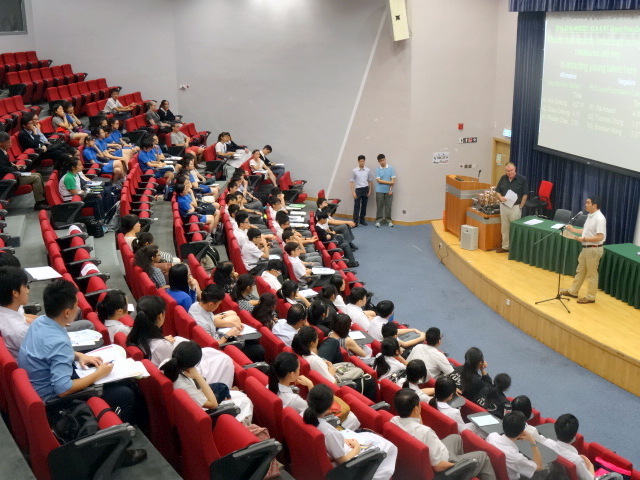 Grand Finals for those teams which have won the first five debates this year were held on Wednesday 20 May 2015 at the G/F Lecture Theatre of the Hong Kong Museum of History in Tsim Sha Tsui and on Thursday 28 May in LT401 at City University of Hong Kong in Kowloon Tong. 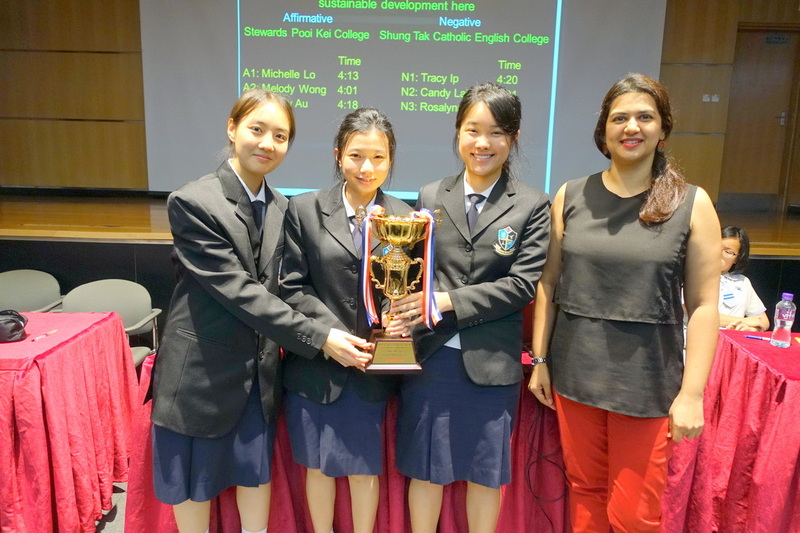 Congratulations go to Stewards Pooi Kei College, who beat Shung Tak Catholic English College in the New Territories Grand Final on 20 May. 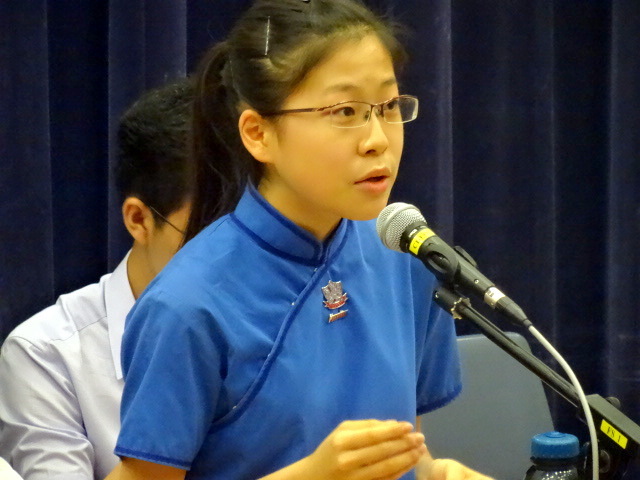 Congratulations also go to HKMA David Li Kwok Po College, who beat Kwun Tong Maryknoll College in the Kowloon Grand Final and to PLK Laws Foundation College, who beat Ying Wa Girls' School in the Kowloon and New Territories Grand Final. All teams competed well and provided good examples for the large audiences to learn from. 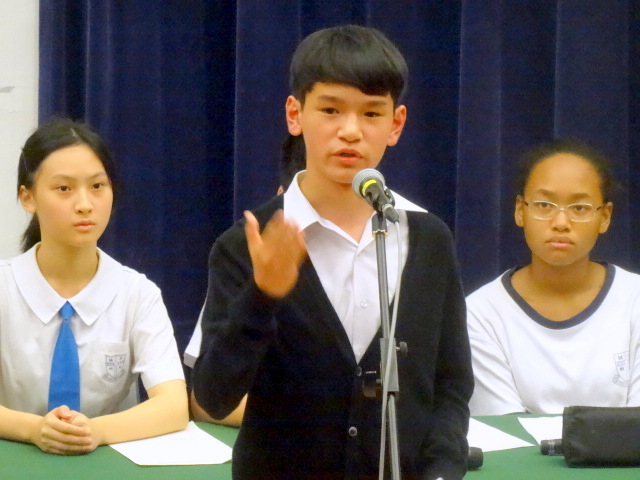 If you're not currently in a team and would like to be part of the action in the 2016-2017 Term 1 Hong Kong Schools Debating Competition, please get in touch with the Coordinator Stan Dyer on hkssdebating@gmail.com to get signed up. 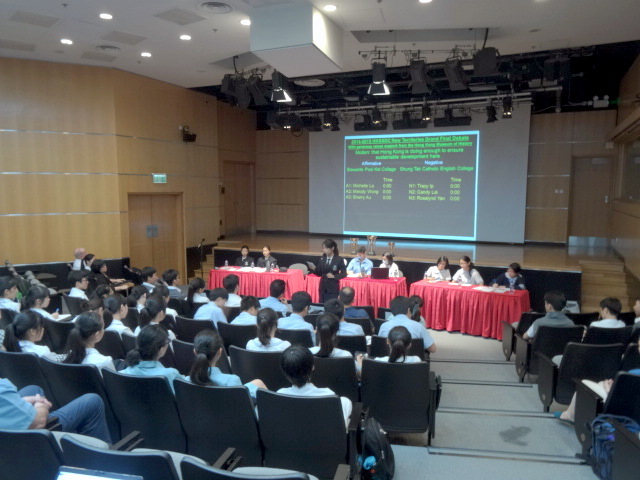 NT Grand Finals: Stewards Pooi Kei College's Michelle Lo opening her team's case. 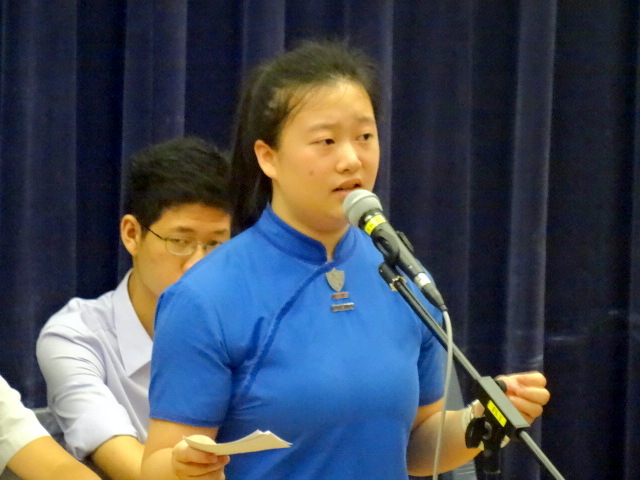 Michelle went on to win the best speaker award for the debate to show that Hong Kong is doing enough to ensure sustainable development, which her team won. 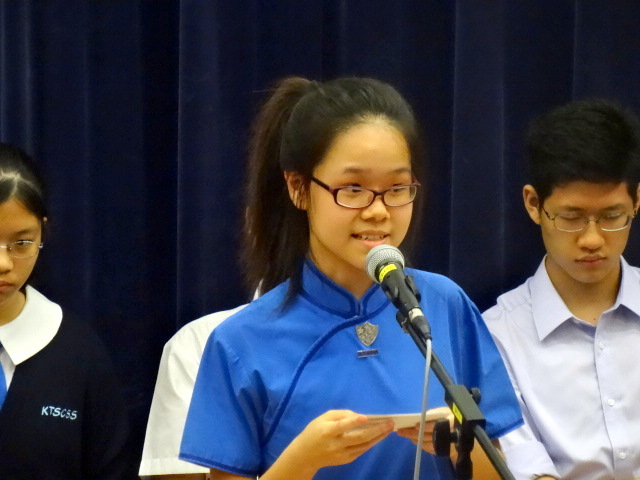 Rosalynd Yan, 3rd speaker from Shung Tak Catholic English College, deftly adding some humour into her strong rebuttals. 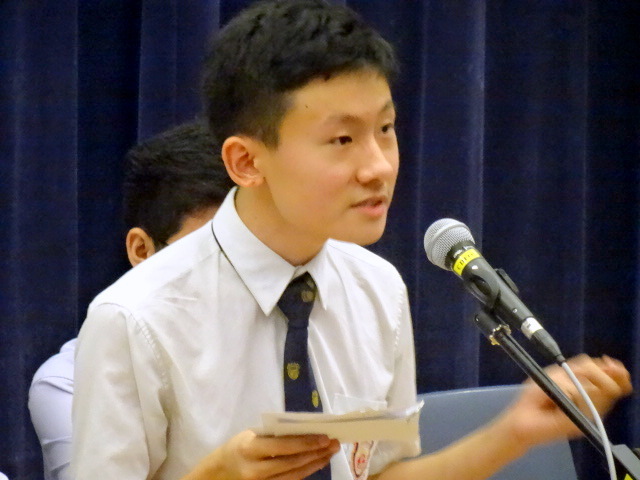 HKMA David Li Kwok Po's first speaker Deepmala Dhakal rebutting some of the proposition's arguments and opening the opposition's case against having a third runway. 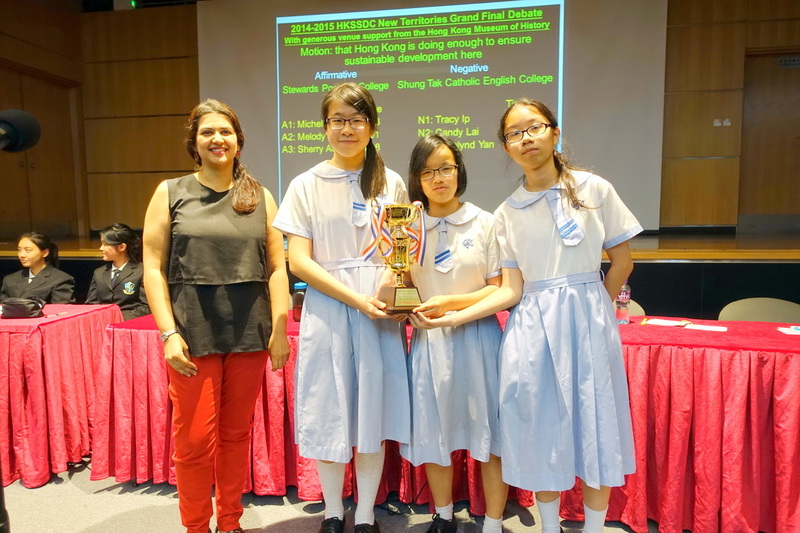 Rebuttals and own team's summary were strongly delivered by HKMA's third speaker Sarneet Saran, who went on to receive the best speaker award and help her team secure a win for negative in the Kowloon Grand Final debate on the third runway. 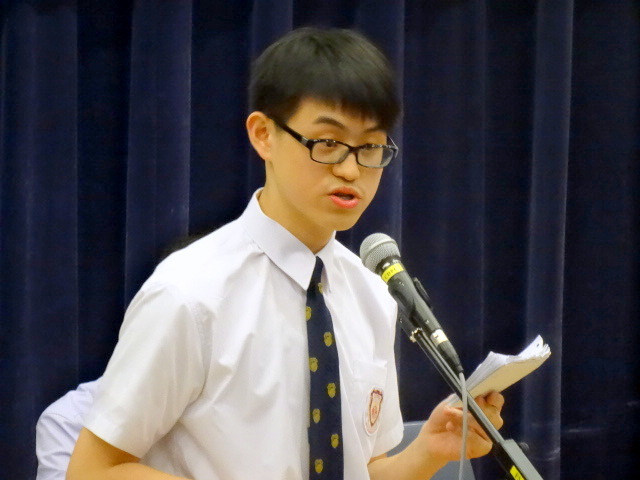 Thomas Chung from PLK Laws giving rebuttals and continuing the opposition's case Thomas went on to receive the best speaker trophy and helped win the debate for negative.